The overall print size is 25" x 16". This antique print is signed and numbered by Harry Anderson. The overall print size is 24" x 18". 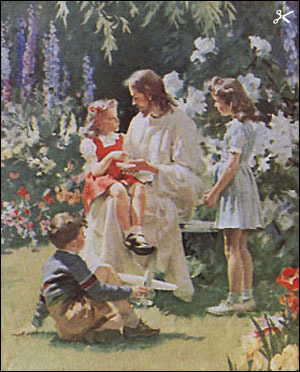 One of Harry Anderson's most famous prints, What Happened to Your Hand depicts Jesus spending time with children and showing them the nail print marks of His great sacrifice on the cross at Calvary. 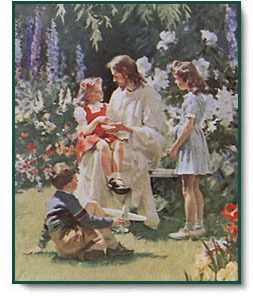 When one girl asks Him about the scars on His hands, Christ undoubtedly responds by telling her the life-changing story of His death, burial, and resurrection. What Happened to Your Hand copyright© by Review and Herald Publishing Association.